"InterContinental Hotel Osaka", which realizes a variety of hotel stay. One of the merits, it takes 5 minutes to walk from Osaka station. because the interior is stylish and also with Japanese traditions. We also recommend you a residence for family or group. it makes your stay feel as living in Osaka. is the most comfortable place with luxurious. Please enjoy the best experience, more than you expected. I was able to spend time slowly and comfortably. Thank you very much. We stayed on the same floor as the lounge and it was convenient. The plan for Relux is for accommodation for up to 2 people only, but thank you for filling in the comments section to accommodate up to 3 people. IHG Rewards Club points are welcome points only, but other benefits are available. The cooperation between the hotel and Relux was neat and I was relieved. I used it for her birthday. I think that it is the best memory. It was a very wonderful day. I would like to use it next year. It is a representative French restaurant of InterContinental Hotel Osaka, which got 'Michelin Guide Kyoto・Osaka + Tottori 2019' for 3 years in a row. It provides to you a new style of French dining with independently combined through seasonal Japanese ingredients and French recipe. The kitchen team is led by Chef Okubo serve you creative French cuisine with using fresh and high-quality seasonal ingredients. Roasted and grilled foods are made by open-kitchen dining. Variety of buffet menus, menus to grill dynamically in front of you, the menus for breakfast, lunch, and also dinner, and the most popular desserts. Please enjoy the variety style. The main bar could make you enjoy the original cocktails while looking forward to Osaka city. Take your time as stylish night with projection mapping of the entire bar or live music on the weekend. 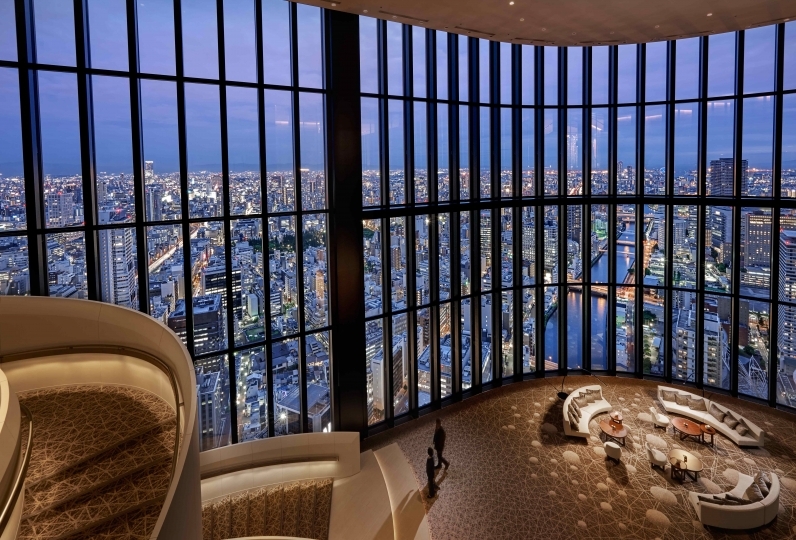 An impressive lobby lounge with Osaka city view through the great large window. Please enjoy your afternoon tea in the frank atmosphere with modern interior. Take a breath in your busy and stressful life. Enjoy the desserts fulfilled with wonder and joy with the place of bright, calm and green-colored. Also, we have prepared the original item of InterContinental Hotel Osaka as the local product of Osaka. The worldwide meeting programme "The InterContinental Meeting" provides you with a unique and effective company event through food or cultural experience of Kansai. Our Event & Convention team supports you sincerely that make your event as a great memory with the taste of Osaka. We provided refined weddings in worldwide through "World of Weddings" of the InterContinental Hotel. Through many experiences and knowledge of worldwide weddings, we suggest the ways how to realize your dreams. Our wedding planner who has lots of experiences will support you considering what is the most important thing for both of you. 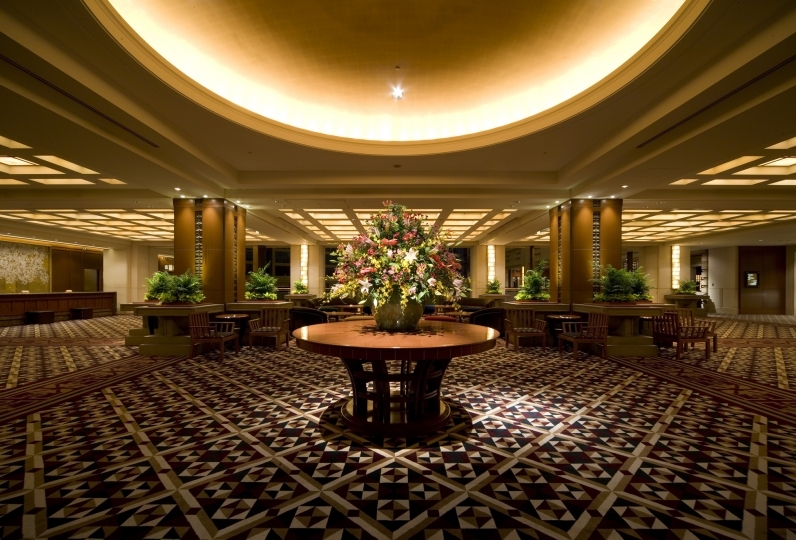 InterContinental Hotel Osaka is a luxurious hotel which is pursuing contemporary elegance. 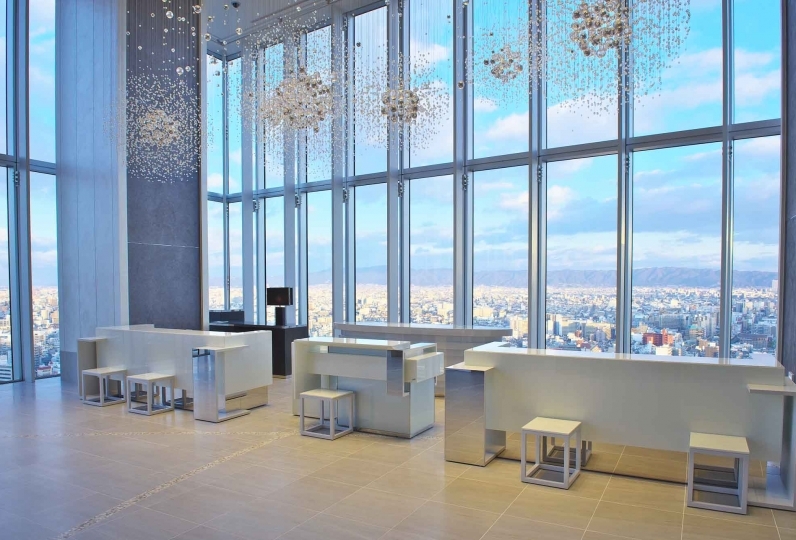 It is in the Grand Front Osaka, where is the center of the business facilities of Osaka and Umeda. You can feel the upgraded-quality hotel stay right after you took the first step into the hotel. Please take elegant time in the warmth of stylish interior and Japanese tradition. Osaka accommodation tax will be added separately. 5 minutes to walk from Osaka Metro Midosuji line "Umeda station"
5 minutes to walk from Hankyu electric railway "Umeda station"
※Grand Front Osaka closes every 24:30 ~ next day 06:00. In the time, please use the front entrance of the hotel which is connected outside.